Banana is one of the most common fruits found across the globe, including in India. There is no doubt about the various health benefits of banana, but did you know that banana peels are equally beneficial? You may be unaware of the fact that the banana peels are equally useful and beneficial for us. Banana peels are filled with antioxidants and various other vitamins and minerals, which if you eat or use on your skin, it can gift you with surprising skin and beauty benefits. And if you are wondering about the uses and benefits of banana peels, then here’s the post worth checking. Today I am sharing the list of 21 uses and benefits of banana peel. Right from teeth whitening to curing pimples, soothing your skin and helping you get rid of wrinkles, banana peels are simply magical. You may use the banana peels in many of your day to day activities, and let me tell you that they will not fail to impress you. All you need to do is to use your creative and imaginative skills to use them in correct ways to get the maximum benefits of banana peels. I myself used to throw the banana peels after eating the fruit inside, but now I make full use of it. Trust me, the banana peels are very useful and today I am happy to share with you the most interesting uses and benefits of banana peels. Banana peels, as I said, are extremely nutritious with a varied range of nutrients found in them. So, let me tell you a bit about the nutritional profile of the peels besides discussing about the other interesting uses and benefits of banana peels. Fiber: It contains fiber that is extremely beneficial in helping you get rid of your digestive issues and enjoy a healthy digestive system. Thus, it ensures you with smooth elimination of your excreta every day. 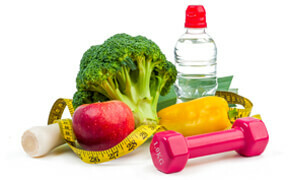 It also benefits in theprevention of Diabetes. Vitamin C: Vitamin C is found in the banana peels that helps in the strengthening of your immunity in general and facilitatesproper overall growth and development. Vitamin B-6: You also get Vitamin B-6 from the peels that are good in helping your body to convert the food into energy. Potassium: Potassium is also there in the banana peels that help the tissues, cells and the organs in your body to develop. Magnesium: Banana peels are also rich in magnesium that aids your body in production of energy and also helps to regulate the levels of glucose and blood pressure in the body. Banana peels also contain other essential nutrients like protein, Vitamin B12, phosphorous, carbohydrates etc. that looks after your general wellbeing. 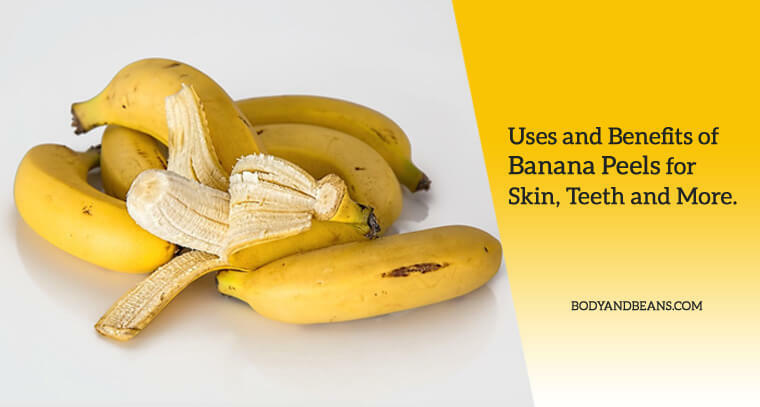 Now, that you are aware of the nutritional profile of banana peels, it is time to know about various uses and benefits of banana peels for skin, teeth and more. The flesh of some of the fruits is very useful and the banana peels definitely tops that chart. Like the fruits, banana peels are loaded with various types of antioxidants, vitamins and minerals. When used or consumed correctly, banana peels can be magical for your skin, teeth and to deal with several other issues. Listed below are the various uses and benefits of banana peels. We generally invest so much to get shining white teeth but with banana peels, things are actually super effective and super cheap. This is because if you rub the banana peels daily on your teeth, you will notice all of the stains gone and your teeth will look healthy and sparkling white. If you continue this for even a week, you will start noticing the difference by yourself. So instead of throwing the banana peels, after eating the bananas use the peels to rub your teeth and get sparkling white teeth easily in a few weeks. If you are simply sick and tired of your warts and none of the medicines and remedies seems to be working, then it is time for you to try out the banana peels to get rid of warts. Simply rub the fresh peel on the wart every night before going to sleep. After few days, you will see your warts getting slowly faded away and within few more days, they will be absolutely gone. Moreover, the peels will also prevent the occurrence of new warts on your skin. The banana peels are extremely good for your skin. Besides removing wart, it can also help you cure pimples easily and naturally. If you massage the banana peels gently on your pimple prone skin, the pimple will cure very fast. In addition, the peels will also leave your skin moisturized and hence it’s highly recommended for those with dry skin. The skin benefits of banana peels continue as they are good in treating wrinkles as well. The banana peels keep your skin hydrated and allows it to breathe well. They help in improving the texture of your skin in general. For getting rid of the wrinkles permanently, you have to mash the banana peel and add an egg yolk to it. Mix the two well and then apply this mixture on to your face. After 5 minutes, wash off your face with normal water. If you seriously want to get rid of wrinkles naturally, try applying banana peels remedy for a few weeks and see the difference by yourself. Besides the other skin benefits of the banana peels, it soothes your skin as well. You can use it as an anti-inflammatory agent for your skin. Studies have also shown it to possess antimicrobial properties and so it is perfect for soothing pains and irritations in case of bug bite, stings or other skin issues. The healthy nutrients in the banana peels are very effective in skin tone lightening. If your skin is dark and lifeless, then you may use it to lighten a few shades of your skin tone as well. It will exfoliate and nourish your skin and leave your skin soft, supple and glowing. Well, we all suffer from mood swings, don’t we? Hence, the next time you feel low, east some banana peels. This is because, the banana peels contain amino acids that stimulates serotonin, which is a mood-improving hormone. Research has also shown that high levels of serotonin can lead to more constructive social interactions by getting rid of the aggression and dominating behavior. So, you must eat the peels to keep yourself calm and in good mood all the time. With age, we slowly start getting affected by various eye problems, one of the major ones being cataract. But, the problem of cataract often occurs quite early and so to avoid its occurrence it is good to take the help of banana peels. In fact, it is one of the best benefits of banana peels. The main reason behind it is the presence of lutein in it. Lutein is one powerful antioxidant that gives protection to your eyes from the harmful frequencies of the ultraviolet radiation as well as from the free radicals. It thus helps a lot in reducing the risk of getting affected from cataract, macular degeneration and several other eye-related issues and studies are a proof of that. If you have problem in getting proper sleep at night, then eat banana peels as that will help you sleep better. The primary factor behind this is that the banana peels are rich in tryptophan that is instrumental in gifting you with a good night’s sleep. In fact, studies have also shown tryptophan to not just improve sleep but also impart a positive influence on mood and human cognition. Hence, it is worth eating the banana peels. In case you have worked with inks and your hands are filled with stubborn ink stains which are not going with soapy water, you may use the banana peels to solve the problem. All you need to do is to rub the white skin of the banana peels properly on the stained parts of your skin and slowly the stains will disappear. It happens mainly due to the presence of the natural oils in the peels which attract the oils found in the ink which in turn results in weakening of the bond of the pigment with your skin and facilitates easy removal. The banana peels can be used to tenderize meat as well. For that, one has to add the banana peel at the bottom of a roasting pan which will enable the meat to remain moist and tender when it is getting cooked. This one is truly innovative and is also one of the interesting benefits of banana peels that one can easily try out. Now, moving forward from the various skin benefits of banana peels, you can use these to polish your shoes mainly the leather ones and make them shine as new pairs. You only have the rub the soft inside of the banana peels on the shoes and keep your shoes shiny, refreshed and polished very easily. The banana peels are great for polishing silver. It is mainly due to the mild acids present which in them which help in rejuvenating your skin as well as serves other purposes, one of them being polishing silver. If you rub the inside of the peel on the silver surface which is dull and tarnished, you will yourself see it glow within minutes. One of the most popular uses and benefits of banana peels is to mix the peels in the compost piles. This is good because the banana peels contain potassium and phosphorous that helps in the better development of the roots and improves the overall health of the plant when mixed into the soil. However, do not use it too much as that may affect the balance of your compost. Well, in case you do not have compost piles, you can still use the peels in your garden. All you need to do is to mix few of the peels into a container containing water and then allow it to stay for few days for it to turn into the perfect compost “tea”. Now, take around one part of this compost tea and mix with five parts of fresh water and then feed it to the plants in your garden once monthly. The potassium and the phosphorous will enable your trees to grow healthily. You can easily use the peels to feed the seedlings. For that, you have to chop the peels and bury around 1-2 of them into your garden soil right below the planting holes or seed-starting containers. This will provide your young plants with lots of nutrients that will help them develop healthily and have the power to resist the diseases. However, be a little careful so that the seedlings or the seeds are not directly in touch with the ripening banana peels during the time of planting as it may damage and burn the seeds and the roots. Banana peels are the perfect fertilizer for your plants and another tip of using it is by drying them and then grinding them before incorporating them into your garden soil. This will give you similar benefits as composting or burying the ripe peels but there is no danger of your plants getting burned and so it is definitely a better method to go for. In case aphids are harming the trees in your garden, you can use the banana peels to deal with the problem. Simply, bury few of them into the soil around the plants which are affected by aphids. This will be of great benefit as the tiny pest will not be able to survive for long amidst the gases that is emitted from the decomposing banana peels and they will leave those plants soon in search of better feeding grounds. But, please do not use excessive of the peels as that may take a negative turn in case the smell attracts the rodents, wasps and other bigger pests. One of the other interesting uses and benefits of banana peels is that they can be used to bring back the shine of your houseplants. In other words, you can rub the peels on the leaves of your indoor plants and clean off any dirt or debris on them. This method works best in case of plants that have waxy leaves like for example Calatheas, Scheffleras, Ficus trees, Crotons etc. It is not just you who can feed on the banana peels and reap maximum benefits out of them but the peels can be a good food option for your livestock as well. Rabbits, chickens, pigs will love to eat the dried banana peels if added to their feed. You just have to be careful that the peels are free of any kinds of pesticides or wax before they are dried and given to your livestock. In case you are having difficulty in making your disc play smoothly, you can easily use a banana peel to fix things up. Take the inside of the banana peel and rub it on the back of your disc gently in a circular motion. Then use a soft cloth to wipe any remaining residue. After that, spray your disc lightly with any good glass cleanerand then buff it until properly cleaned. This remedy will work great as the banana peels contains wax which will fill in the scratches in the disc without causing any harm to the plastic finishing which will eventually enable your disc to play without skipping. I hope that you have carefully jotted down the uses and the benefits of banana peels, but there are some other tips that you must follow in order to get the best results. Here are few points that you must keep in mind before using the banana peels. Always use a fresh banana peel. Never keep the banana unpeeled for long before eating the banana or the peel. It is best if you store the bananas in a cool and dry place away from the warmth and heat of the sunlight. Well, cool and dry place does not mean that you will store the bananas in the refrigerator. Instead do not keep them in the refrigerator. And, yes please avoid throwing the banana peels in public places. Instead use them to reap the benefits. Sometimes when you give least importance to something and then eventually come to know how useful that can actually be, you are pleasantly surprised. This is what happened with me when I found out about the amazing benefits of banana peels, and how it can be used for various issues, including skin and teeth. Well, it is a common thing to throw the peel once you ate the banana but after reading this post, I hope that you will definitely think twice before throwing the peels. I have talked about various uses and benefits of banana peels and I have myself tried out some of these applications. Trust me, these are really good. It solves so many of our health problems, gives us skin benefits as well as is useful in so many of our day to day activities. You just got to use your innovative power to use the banana peels as a multitasking ingredient. We spend so much money for various things and sometimes we do not get enough return from that but if something as cost effective as banana peels can help us in so many ways, then I feel that it’s worth a try for everyone. I mean bananas are readily available in India and we do eat them often for the health benefits and so every time you eat a banana, you can easily use the peel to serve any of the above-mentioned purposes. But, as I suggested, please use fresh peels as that gives maximum benefits. And never keep them unpeeled for long. So, do you like bananas? Did you have any idea regarding the importance of the banana peels? Well, if not, then check out the benefits of the banana peels that I have widely discussed here and make it a point to henceforth use them and derive maximum benefits out of the banana peels. You can share other ways in which you feel the peel can be used so that we get to know more of its amazing uses. And, also tell us your experiences while using the banana peels in your daily lifestyle. Until then, stay happy, stay safe and please support bodyandbeans by liking and sharing the posts you find to be useful with others. So many uses! I thought they were only good for causing hilarious slips. Thanks for posting!